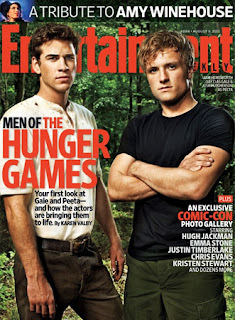 I like Peeta, but I'm still not sure about Gale. I don't know...I guess we'll see! i love who they picked for peeta, but being team gale, i think he is all wrong for the most part, but that's the best picture i've seen of him. i'm not getting my hopes up though. Not really how I pictured them either....and they look so OLD! :/ I mean, I know they cast older actors but they're not that old in the books. I feel like there is a bit of role reversal here. Gale should be all beef-cakey while Peeta should be the one who is a bit smaller.